Growing up on Vancouver Island, Dr. Paula Davies was surrounded by animals from an early age. Her father taught science, and he was constantly bringing home creatures of all sorts for rehabilitation. When her dad brought home a puppy one day when she was in the third grade, Dr. Davies’ mind was made up — she was going to dedicate her life to bettering the lives of animals by becoming a veterinarian! 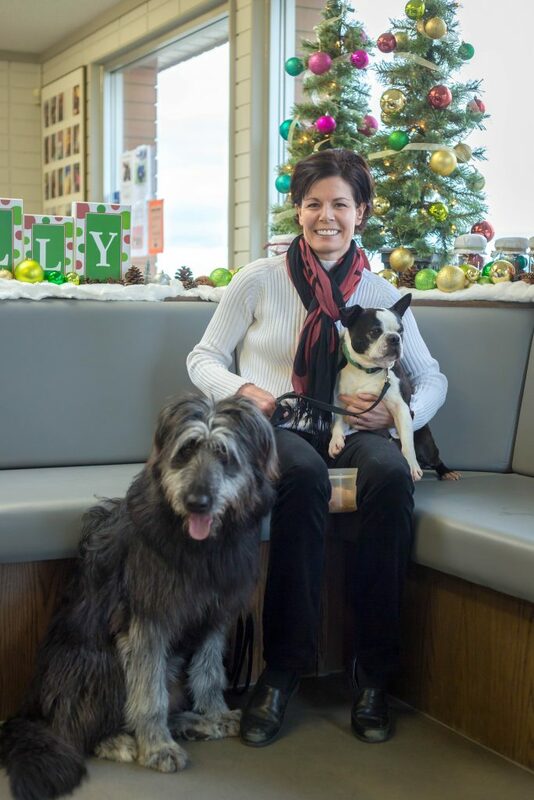 After completing her bachelor’s degree in biochemistry and microbiology, Dr. Davies attended the Western College of Veterinary Medicine in Saskatoon and earned her Doctor of Veterinary Medicine in 1999. She worked at two different practices in B.C., then locumed in the Kamloops area before joining the Kamloops Veterinary Clinic in 2006. Dr. Davies holds diplomat status from the American Board of Veterinary Practitioners in canine and feline practice, an achievement she earned in 2008. As a veterinarian, Dr. Davies holds special interests in surgery, geriatric care, complex medical cases, and emergency medicine. She enjoys being an integral part of a pet owner’s decision-making process—at the end of the day, she knows she’s done her job if a pet parent is satisfied! Dr. Davies also likes working alongside her well-rounded and capable team members every day. Outside of work, Dr. Davies enjoys mountain biking. In the winter she trades in her bike for a pair of skis. She also loves spending time with her own pets at home. Her furry family includes Scarlet, a cat who tries to get Dr. Davies’ undivided attention by planting herself in front of the computer screen; Spencer, a cat who enjoys going on walks with Dr. Davies and her husband; a Boston terrier named Sammy; and Emma, a mixed-breed puppy who resembles a black bear wearing a white mask.